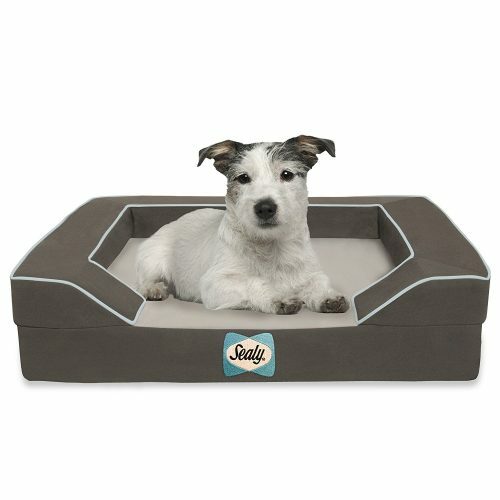 Provide your canine buddy with the comfort he deserves with this wonderful Sealy Dog Bed. This durable bed features Cooling Energy Gel to keep your dog cool, and actually conforms to his body shape for added comfort. In addition, its make-up provides odor control for freshness as well as comfort. When it comes time to rest and relax, your dog will love doing so on this amazing bed. Shop it on Amazon now! Sign up as a BuyandShip member today and get your items shipped to our US warehouse.